The ‘post Solitaire blues’ have been viscous this time round, a sudden drop into a pool of emotion and a sense of loss. I was trying so hard to retain my composure throughout the 4-week race and was so single minded during the build-up that when the reason for it all (The Solitaire) ended I just felt without purpose. I understand this feeling is common among athletes post Olympics and people retiring from highly stressful jobs. 3 weeks has passed and now I am telling the story of the last leg, a test of endurance and skill, through all the wind ranges. An exhausted look on my face after another leg finished. I could feel the initial 3 legs of this race had taken their toll, my body was sore, my hands swollen and I just wanted to sleep for a year. Still I was convinced I was stronger than everyone else and could capitalise in this leg. With the weather forecast however, being strong wasn’t going to matter, there was next to no wind coming in for the first half of the race. I had a decent start to the race and looked good for the first few hours but that really didn’t matter. The wind was unpredictable and random, appearing and disappearing from various directions rarely getting above 4 knots. As the wind circled, the spinnaker would quickly become a requirement for a short while before needing to be dropped again. The constant drop hoist, drop hoist, for hours on end was very tiring in the heat, but it was vital to stay in the race. In how little wind can you fill a kite? How fast can you drift? The lack of wind did get to me, as we drifted around the north-west tip of France, with the engine sealed and the wind at absolute zero, I was at the mercy of the tide. The tide was pushing me onto the rocks, I tried desperately to direct the boat into a safe direction but the boat was useless in the waves. Over the sound of flapping sails came the sound of waves crashing on rocks and I could see their black silhouettes in the night getting closer. I prayed for wind. Just a breath, so I could get out of danger, let alone get to the finish line quicker. I came very close to unsealing the engine thus breaking the rules and motoring away. I finally managed to harness some fickle wind and move to safety. As the fleet crossed the Channel and got closer to England a cold sea fog moved in and the wind finally picked up. We spent very little time sailing down the English coastline as 25knots filled our spinnakers and made waves for us to surf. The waves however made gybing the spinnakers a bit tricky. I had one absolute nightmare as the spinnaker collapsed and wrapped itself continuously around one of the lines. I was frantically trying to unknot the disaster, bring the kite in safely and re hoist. I was a very costly mistake which left me sweaty, tired and very cautious. After just 24 hours of sailing the English coastline, we hopped the Channel once more, for the final sprint down the French coast. The shipping channel however did come a cropper as one almighty tanker who obviously had a French guy steering, as it made a good job of almost cutting me in two. It was on course to miss me but in its attempt to avoid a French competitor it started pointing its bow at me. This is my excuse for losing two places that I had gained earlier that day. The kites were back up for the leg down the French coast. Although I was exhausted I continued to push and passed one more boat, before screaming across the finish line to complete the 2017 Solitaire. Champagne and pain au chocolat awaited me on the pontoon, they were the best things I have ever tasted. The boat took a deservedly large share of the champagne. I was so relieved that it was all over, I felt I could sleep happy and I didn’t have a care in the world, filled with a huge sense of accomplishment. It had been such hard work to get to the solitaire, ending up balancing a job and managing this sailing project was very stressful. Winning first amateur was great recognition for my hard work. The real aim was to climb the overall leader board, 25th place in such an outstanding and to be honest well-funded fleet feels like a real achievement. The most important thing however is that I could never have made it on my own. 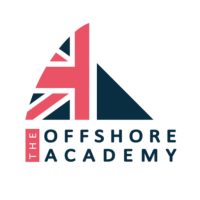 I must thank Charles Darbyshire and The Offshore Academy team, everyone who supported me in my Crowd Funder project and my sponsor for the Solitaire, KAMAT. A company specialising in high pressure pump systems but also a company able to take a step back and see the benefits of sponsoring sport. I hope to work with them again in the future AND if I can get together a fully funded Figaro campaign I will be back for the Solitaire 2018 with a vengeance.